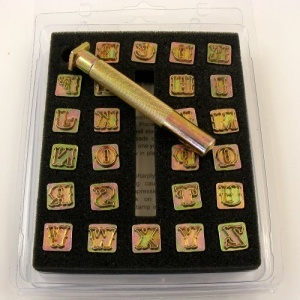 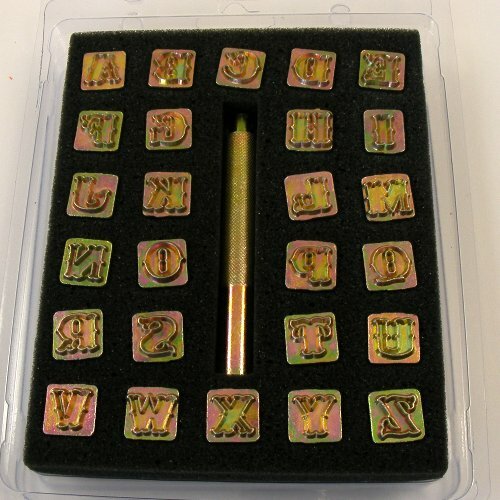 This is a set of half inch (12mm) embossing stamps featuring a full set of alphabet letters in a decorative fairground style upper case font. 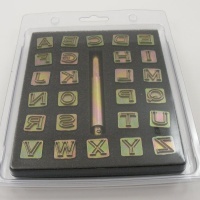 Ideal for personalising keyrings, bookmarks and much more. 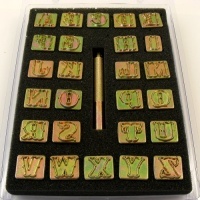 We have a slimmer and more modern style of half-inch letters available too - see the related products below for details. This style of letters is also available in a larger 3/4" (20mm) size - see below.